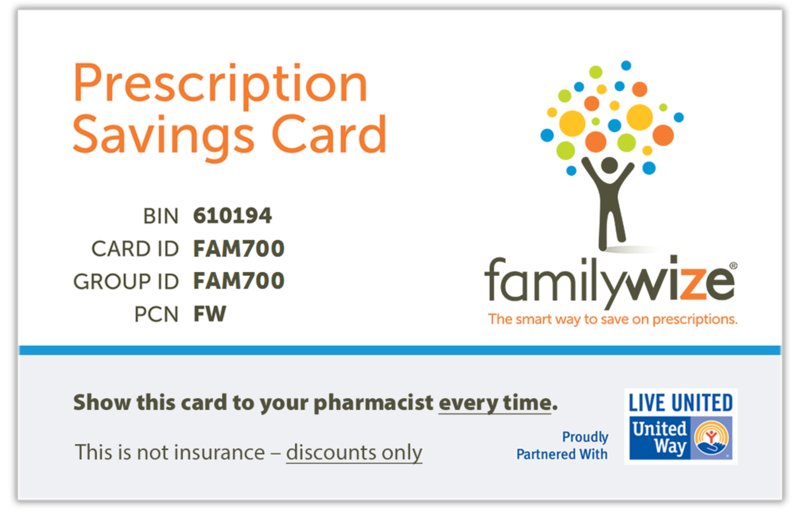 Get the lowest price on your prescriptions with the FamilyWize card. More Than 13 Million People Helped & $1.5 Billion in Savings! 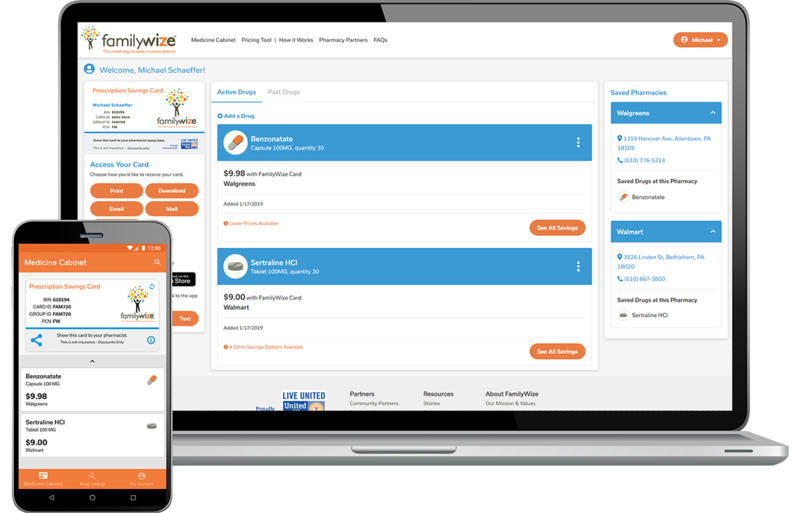 FamilyWize makes it easy to save money on prescription drugs. Just show your free card to the pharmacist! Accepted at most pharmacies and with many community organization partners, FamilyWize is sharing the savings across the nation. "Because my prescription was almost $300 a month, I had to work an additional part time job just to cover the cost. 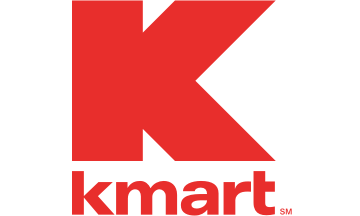 With your discount card my prescription cost went down to $38 a month! Thank you, thank you, thank you!" "My husband lost his job, leaving us without medical insurance. His prescription varies at local pharmacies from $123.02 to $140.47. With the Familywize discount I can get this at Walmart for $19.71!" My cost went from $180 to $37! "After losing my health insurance, a local pharmacist told me about the FamilyWize discount card to process my prescription. Not only do I use the card for most prescriptions, I give the information to friends, family and my patients."